The Food Safety Modernization Act (FSMA) is said to be “one of the most sweeping reforms to food safety laws in more than 70 years.” It was signed into law by President Obama in 2011, and aims to ensure the U.S. food supply is safe by shifting the focus from responding to contamination to preventing it. The biggest goal of the act is to be proactive in an effort to remove food-borne illnesses from the food chain, and trace them back to the source. The act puts controls in place in an effort to prevent these illnesses or other contaminants from entering the food chain in the first place. For shippers, the FSMA makes it imperative to ensure production facilities are sanitized, and that the supply chain is secure and tracked all the way to the product’s final destination, which includes loading, transportation, and receiving. The act shifts responsibility to the shipper – holding them responsible for ensuring others involved in the supply chain are accountable to it. Ultimately, if there is an incident, shippers will be the first ones looked at by the Food and Drug Administration (FDA). Not only will they be scrutinized by the FDA, but in today’s world of social media reputation is everything, and infractions will be even more damaging than they might have been pre-internet days. The industry is big, but word also travels fast. 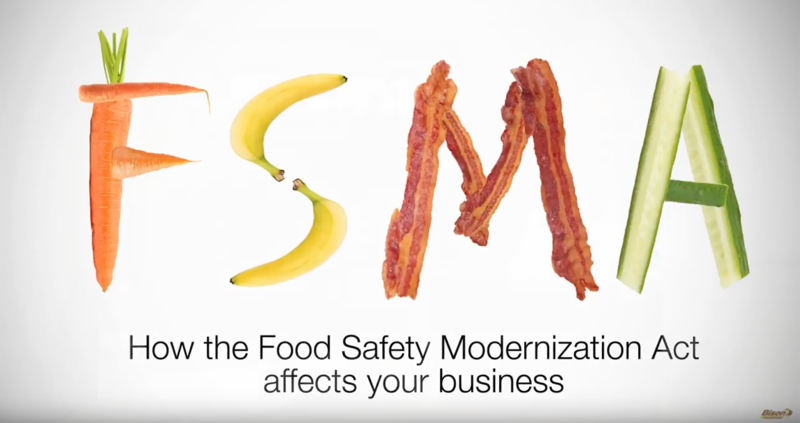 You wouldn’t want to be in the news for the wrong reasons, and the FSMA puts safety and performance at the forefront and will lead to more modern supply chain management. I sat down with Blair Scott, Director of Refrigerated Operations here at Bison to discuss in detail what the act means for shippers, and how Bison is preparing for the act to come into play from a carrier’s perspective. Contact a Bison sales representative today to learn more about shipping with Bison and the Food Safety Modernization Act.